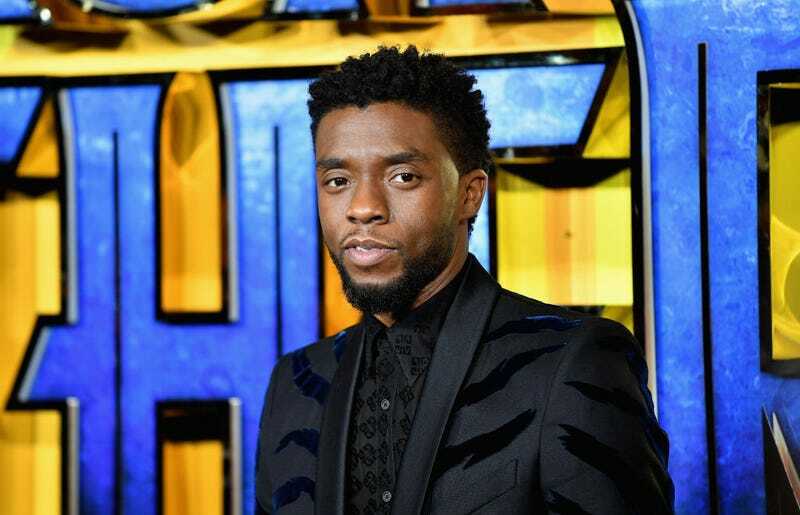 Chadwick Boseman has played James Brown and Thurgood Marshall, and recently proved that he could launch a billion-dollar movie franchise with panache. Now he’s going to give sketch comedy a shot: Entertainment Weekly reports that the Black Panther star will host Saturday Night Live on April 7. Boseman will be joined by musical guest Cardi B, whose full-length debut is also expected next month. The Marshall actor is the first announced host of April 2018, but he’s the latest in a long line of MCU actors to make their way to Studio 8-H. Robert Downey Jr., Scarlett Johansson, Josh Brolin, and Chris Pratt have all taken turns hosting SNL, though they weren’t promoting two Marvel films at once. That’s all Boseman, who stars in acclaimed Black Panther and the upcoming Avengers: Infinity War.